This text is intended for a brief introductory course in plane geometry. It covers the topics from elementary geometry that are most likely to be required for more advanced mathematics courses. The only prerequisite is a semester of algebra. This geometry text is written for the Pre-university students to serve as an introduction to Higher Elementary Geometry, either as a subsidiary or a main Subject. The aim is to give to the Students certain Elementary ideas about the subject. The subject-matter of the book is that of the first three books of the Elements, but there is a great departure as regards the method. As the pupil proceeds, he is helped to build up ideas in the same way as in the elements of physics and chemistry. The primary object of this textbook is to supply a large number of easy examples, in the belief that the educational value of the subject lies far more in the power to apply the fundamental facts of geometry, than in the ability to reproduce proofs. For a generation this was the leading textbook on the subject of plane geometry in America. Topics covered: rectilinear figures, the circle, proportion, similar polygons, areas of polygons, regular polygons and circles, etc. Contents: Reasoning and Proof; Parallel and Perpendicular Lines; Congruent Triangles; Relationships Within Triangles; Quadrilaterals; Similarity; Right Triangle Trigonometry; Circles; Perimeter and Area; Surface Area and Volume; Transformations. From the table of contents: Introduction; Axioms and Theorems from Plane Geometry; Properties of the Plane; Regular Polyhedrons; Prisms and Cylinders; Pyramids and Cones; The Sphere; Portraits and biographical sketches; and more. This book is intended for use by a parent and a child. It is recommended that the parent have some familiarity with geometry, but this is not necessary. The parent can simply read the chapter before teaching the child and then learn it together. Introduction to geometry, the straight line, circle, proportional lines and similar polygons, areas of polygons, regular polygons and circles. 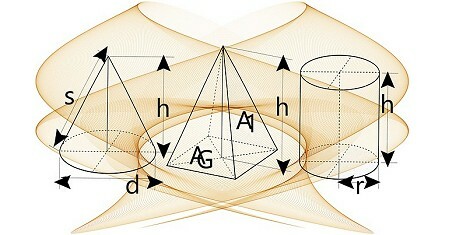 The book includes exercises: theorems, problems of construction, loci, and problems of computation.